It was in the first part of January 1848 [January 24], when the gold was discovered at Coloma, where I was then building a sawmill. The contractor and builder of this mill was James W. Marshall, from New Jersey. In the fall of 1847, after the mill seat had been located, I sent up to this place Mr. P. L. Wimmer with his family, and a number of laborers, from the disbanded Mormon Battalion; and a little later I engaged Mr. Bennet from Oregon to assist Mr. Marshall in the mechanical labors of the mill. Mr. Wimmer had the team in charge, assisted by his young sons, to do the necessary teaming, and Mrs. Wimmer did the cooking for all hands. 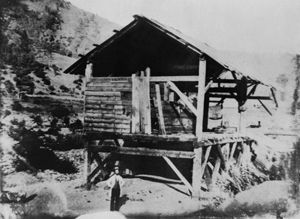 I was very much in need of a new sawmill, to get lumber to finish my large flouring mill, of four run of stones, at Brighton, which was commenced at the same time, and was rapidly progressing; likewise for other buildings, fences, etc., for the small village of Yerba Buena, (now San Francisco). In the City Hotel, (the only one) at the dinner table this enterprise was unkindly called “another folly of Sutter’s,” as my first settlement at the old fort near Sacramento City was called by a good many, “a folly of his,” and they were about right in that, because I had the best chances to get some of the finest locations near the settlements; and even well stocked rancho’s had been offered to me on the most reasonable conditions; but I refused all these good offers, and preferred to explore the wilderness, and select a territory on the banks of the Sacramento. It was a rainy afternoon when Mr. Marshall arrived at my office in the Fort, very wet. I was somewhat surprised to see him, as he was down a few days previous; and then, I sent up to Coloma a number of teams with provisions, mill irons, etc., etc. He told me then that he had some important and interesting news which he wished to communicate secretly to me, and wished me to go with him to a place where we should not be disturbed, and where no listeners could come and hear what we had to say. I went with him to my private rooms; he requested me to lock the door; I complied, but I told him at the same time that nobody was in the house except the clerk, who was in his office in a different part of the house; after requesting of me something which he wanted, which my servants brought and then left the room, I forgot to lock the doors, and it happened that the door was opened by the clerk just at the moment when Marshall took a rag from his pocket, showing me the yellow metal: he had about two ounces of it; but how quick Mr. Marshall put the yellow metal in his pocket again can hardly be described. The clerk came to see me on business and excused himself for interrupting me, and as soon as he had left I was told, “now lock the doors; didn’t I tell you that we might have listeners?” I told him that he need fear nothing about that, as it was not the habit of this gentleman; but I could hardly convince him that he need not to be suspicious. Then Mr. Marshall began to show me this metal, which consisted of small pieces and specimens, some of them worth a few dollars; he told me that he had expressed his opinion to the laborers at the mill, that this might be gold; but some of them were laughing at him and called him a crazy man, and could not believe such a thing. I told him yes, and off he started for Coloma in the heaviest rain, although already very wet, taking nothing to eat. I took this news very easy, like all other occurrences good or bad, but thought a great deal during the night about the consequences which might follow such a discovery. I gave all my necessary orders to my numerous laborers, and left the next morning at 7 o’clock, accompanied by an Indian soldier, and vaquero, in a heavy rain, for Coloma. About half way on the road I saw at a distance a human being crawling out from the brushwood. I asked the Indian who it was: he told me “the same man who was with you last evening.” When I came nearer I found it was Marshall, very wet; I told him that he would have done better to remain with me at the fort than to pass such an ugly night here but he told me that he went up to Coloma, (54 miles) took his other horse and came half way to meet me; then we rode up to the new Eldorado. In the afternoon the weather was clearing up, and we made a prospecting promenade. The next morning we went to the tail-race of the mill, through which the water was running during the night, to clean out the gravel which had been made loose, for the purpose of widening the race; and after the water was out of the race we went in to search for gold. This was done every morning: small pieces of gold could be seen remaining on the bottom of the clean washed bedrock. I went in the race and picked up several pieces of this gold, several of the laborers gave me some which they had picked up, and from Marshall I received a part. I told them that I would get a ring made of this gold as soon as it could be done in California; and I have had a heavy ring made, with my family’s cost of arms engraved on the outside, and on the inside of the ring is engraved, “The first gold, discovered in January, 1848.” Now if Mrs. Wimmer possesses a piece which has been found earlier than mine Mr. Marshall can tell, as it was probably received from him. I think Mr. Marshall could have hardly known himself which was exactly the first little piece, among the whole. The next day I went with Mr. Marshall on a prospecting tour in the vicinity of Coloma, and the following morning I left for Sacramento. Before my departure I had a conversation with all hands: I told them that I would consider it as a great favor if they would keep this discovery secret only for six weeks, so that I could finish my large flour mill at Brighton, which had cost me already about from 24 to 25,000 dollars – the people up there promised to keep it secret so long. On my way home, instead of feeling happy and contented, I was very unhappy, and could not see that it would benefit me much, and I was perfectly right in thinking so; as it came just precisely as I expected. I thought at the same time that it could hardly be kept secret for six weeks, and in this I was not mistaken, for about two weeks later, after my return, I sent up several teams in charge of a white man, as the teamsters were Indian boys. This man was acquainted with all hands up there, and Mrs. Wimmer told him the whole secret; likewise the young sons of Mr. Wimmer told him that they had gold, and that they would let him have some too; and so he obtained a few dollars’ worth of it as a present. 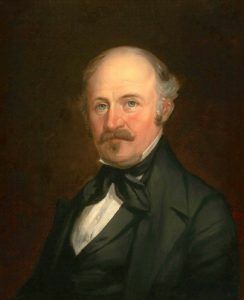 As soon as this man arrived at the fort he went to a small store in one of my outside buildings, kept by Mr. Smith, a partner of Samuel Brannan, and asked for a bottle of brandy, for which he would pay the cash; after having the bottle he paid with these small pieces of gold. Smith was astonished and asked him if he intended to insult him; the teamster told him to go and ask me about it; Smith came in, in great haste, to see me, and I told him at once the truth – what could I do? I had to tell him all about it. 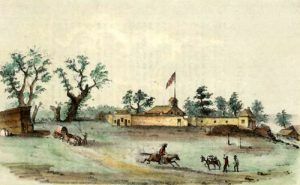 He reported it to Mr. Samuel Brannan, who came up immediately to get all possible information, when he returned and sent up large supplies of goods, leased a larger house from me, and commenced a very large and profitable business; soon he opened a branch house of business at Mormon Island. So soon as the secret was out my laborers began to leave me, in small parties first, but then all left, from the clerk to the cook, and I was in great distress; only a few mechanics remained to finish some very necessary work which they had commenced, and about eight invalids, who continued slowly to work a few teams, to scrape out the mill race at Brighton. The Mormons did not like to leave my mill unfinished, but they got the gold fever like everybody else. After they had made their piles they left for the Great Salt Lake. So long as these people have been employed by me they have behaved very well, and were industrious and faithful laborers, and when settling their accounts there was not one of them who was not contented and satisfied.